Before you know it, you’ll be gobbling turkey, trimming a tree, and toasting another new year. This time of year is breathtakingly busy for most business people, so if you’re going to get on top of next year’s trends, you better start reading up now. We’ve provided you with a list of the most staggering changes coming to the wide world of IT service management next year. How can you leverage these for optimal gains in 2017? 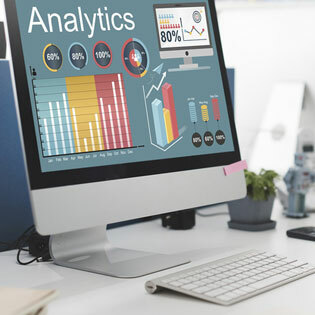 There are two things holding the small- to mid-sized business back from leveraging the tremendous potential wrapped up in big data and data analytics. First, is IT infrastructure. Collecting, storing, and processing massive quantities of data is tremendously expensive! Second, there just aren’t a lot of “data scientists” out there, and the ones that do exist are already working for much larger companies with much deeper pockets. Don’t worry! IT service management firms are already cranking up with big data and analytical offerings you can get via the cloud for a lot less dough. Chances are, you don’t want to know the technical details behind the software-defined network and other software-defined architectures. What you do want to know is that software-defined stuff makes the IT products and services you need cheaper, easier to obtain, and easier to use. Expect IT service management companies to offer these with increasing frequency in the coming months. The IoT is predominantly driven by big data, so it’s unsurprising that IoT offerings would increase as do big data offerings. The IoT is a powerful tool for lots of different aspects of running a business. It can improve supply chain management, deliver actionable BI in real time, improve IT security, identify fraudulent activities, and more. Expect IT service management companies to offer more IoT services beginning next year, but this trend will no doubt extend well into 2020 and beyond. Shadow IT has proven impossible to completely do away with. Most IT departments are taking a new approach. Instead of trying to find and stamp out every instance of shadow IT across the organization, managers are learning to find and track shadow IT applications and determine which ones are actually a threat to the organization and which might actually have some benefits to deliver. Increasingly, businesses will prevent shadow IT practices by adopting the applications that deliver real value and by taking on the services their employees need, so that they aren’t looking for their own solutions. IT service management is affordable and easy, making it an ideal option to employ against dangerous and unproven shadow IT applications and services. Is your business still struggling to adapt to all the changes and trends in technology? We understand! There is help.